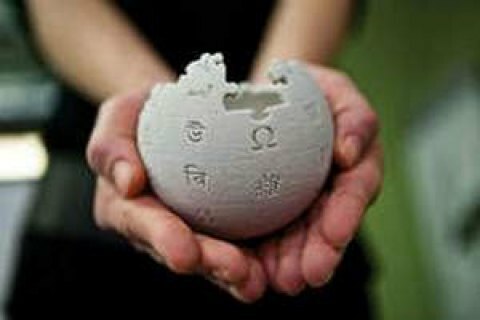 College students will be encouraged to contribute to wiki articles. Prime Minister Volodymyr Groysman on 16 January ordered his government to facilitate the expansion of Ukrainian section of Wikipedia. The government press office said Groysman supported the proposals of the public aimed at development of the Ukrainian section of Wikipedia and requested the authorities to adopt relevant measures and implement them in 2017. Among the proposed policies are changes in school curricula on computer science, geography, history and literature for senior classes involving the use of Ukrainian Wikipedia; the preparation of training materials for Wikipedia by students; promotion of the Ukrainian part of the international competition Wiki Loves Monuments; promotion of competition for the placement of scientific papers in the Ukrainian section of Wikipedia. Ukrainian section of Wikipedia has 650 thousand articles and ranks 16 largest among all national sections.